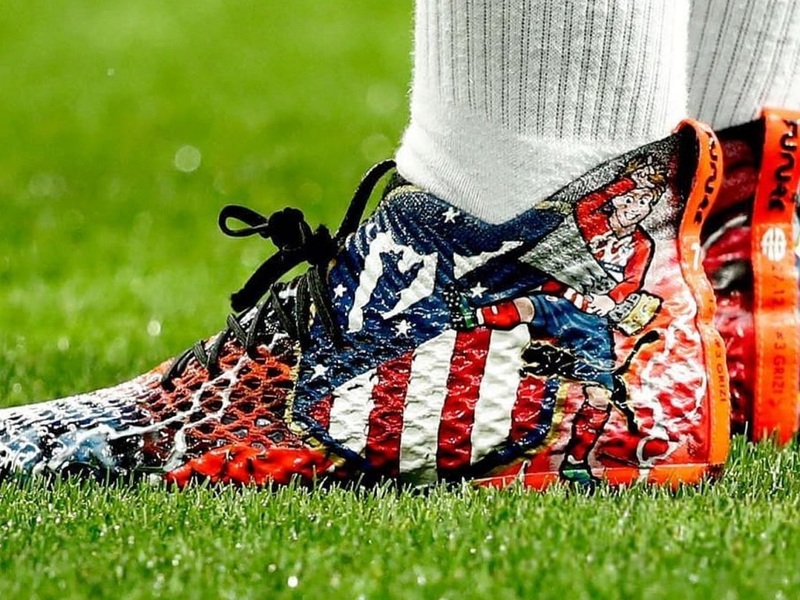 Over the weekend, you might have spotted Antoine Griezmann wearing some extremely unique boots in the Madrid derby. They were specially designed by one of our favorite custom boot designers, Orravan Design. You might remember the Swarovski crystal-encrusted Nike Vapor VIIIs he created a few years back. Although this pair might not be as fancy, they are certainly more detailed and personalized to the taste of their intended owner. 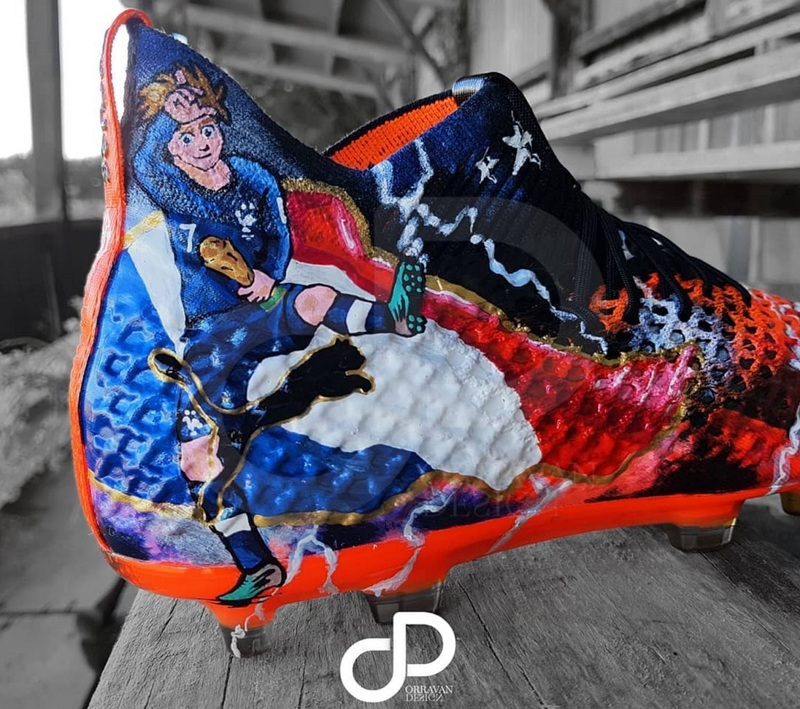 A pair of Puma FUTURE 2.1 feature a depiction of the Atletico Madrid crest, a cartoon Griezmann doing his signature Fortnite celebration with World Cup and Europa league trophy in hand (depending which boot you look at), and other signature pieces associated with the French striker. Unfortunately, there were no fireworks in the game, so we didn’t get to see a whole lot of the boots. 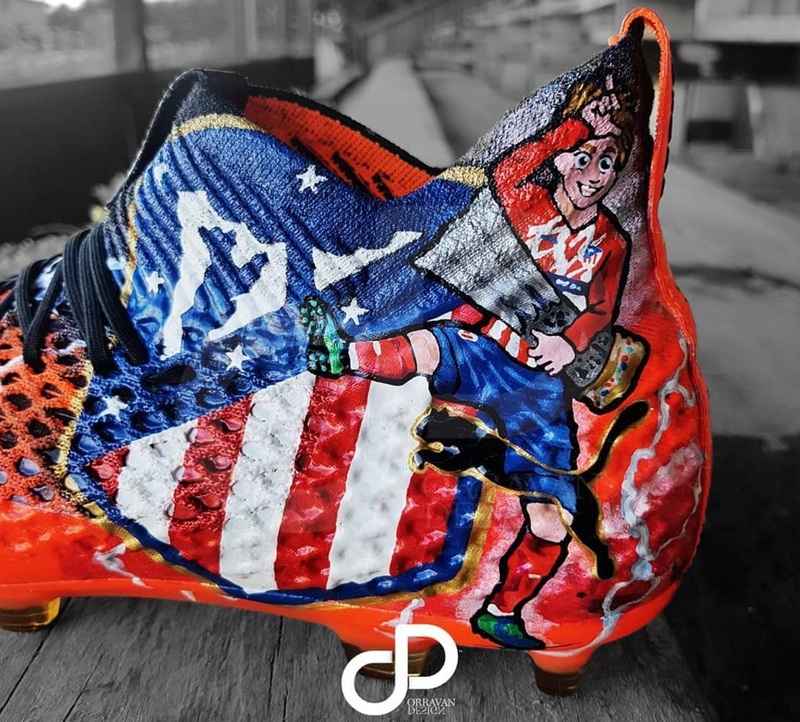 But lets be honest, they are truly a work of art, absolutely incredible to look at, and I know most players would kill for a pair of boots designed in such intricate fashion. I wonder what Griezmann is planning to do with them next? 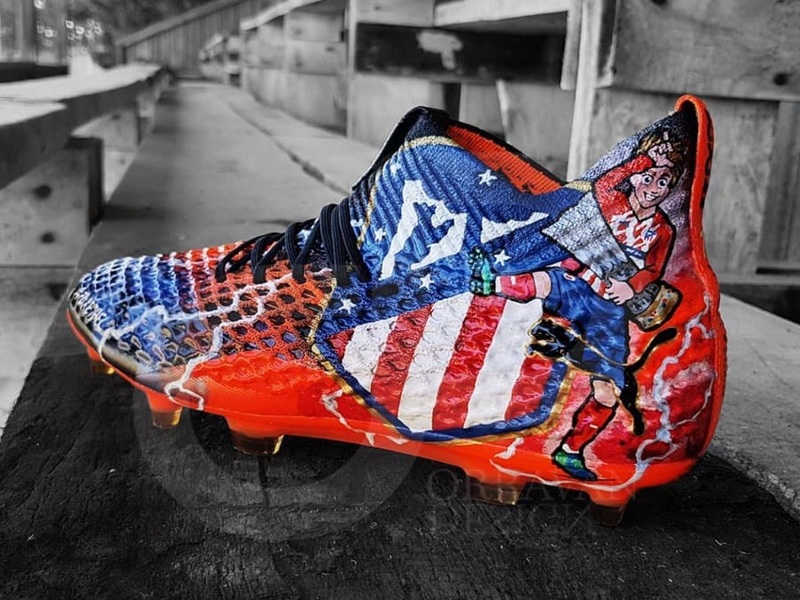 For an up close look at the boots, check out the video below! This is great. Thanks for sharing with us.